With a whole host of summer holiday possibilities out there, we have compiled our favourite destinations this year. We have collaborated with Quintessentially Travel so you can pair your private jet with one of the world’s finest hotels. We hope these destination ideas inspire you to travel somewhere special this summer. With nearly 2000km of coastlines fringed with sandy white beaches and glittering turquoise waters, the deceptively small island of Sardinia is the ideal summer escape. Explore the historic centre of Alghero and enjoy the Italian evening ritual of a passeggiata along the old city walls as the sun sets. There are plenty of restaurants serving fresh local seafood with views across the harbour and bars buzzing with life in the evening. If you want to explore more remote beaches you can take a boat out from the harbour and cruise around the shores. The glamour and glitz of the Costa Smeralda attracts more of an elite crowd, with Beverly Hills-type shops and a star-studded strip of five-star hotels and beaches. The Acqua di Parma spa is located in this area and provides the perfect opportunity to relax and escape from the hustle and bustle of everyday life. If you fancy a spot of cultural immersion, the historic city of Cagliari beholds an impressive array of Italian history. From its medieval city walls to the Tuscan style Duomo dating back to the 12th century and the Cittadella dei Musei that holds a compelling archaeological collection. Revered by the international jet set, Hotel Cala di Volpe deftly walks a fine line between intimate hideaway and full-service resort. Perched above the Costa Smeralda, Hotel Cala Di Volpe offers everything from an Olympic-sized swimming pool to a putting green and private beach. Don’t leave without exploring the beautiful Sardinian coastline. With 99.9% of this island utopia covered by water, it is unsurprising that the Maldives offer reef life and sea clarity that is unmatched anywhere else in the world. Dive, snorkel and swim amongst the coral and tropical fish, greeting turtles and friendly sharks along your way. Nature’s sunken garden is one of a handful of destinations around the world where you can swim with whale sharks. 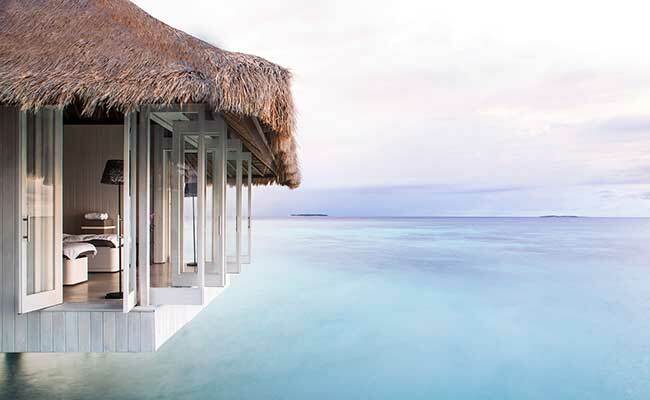 A true luxury escape, discover blissful spas, secluded water villas, bespoke hotels and exceptional hospitality. Home to a variety of unrivalled luxury resorts that take up their own island, this area has become synonymous with a true island paradise. North of Male, the Noonu Atoll is an unspoilt paradise with rustling palm fronds, tropical flowers, ivory sands and pristine waters filled with vibrant marine life. This 45-villa destination has been conceived in harmony with the island’s lush vegetation and lagoon views. With a patchwork cultural heritage, the ancient ruins of Croatia and Montenegro are a small part of these forward-thinking, spirited nations. A destination growing in popularity in recent years, Croatia presents a slightly closer holiday option to home for those based in Europe, without compromising on scenery or weather (it’s one of Europe’s sunniest spots). If you’re looking for a party, the island of Hvar will provide you with glitz, glamour and buzzing nightlife. A good dose of culture is also available - due to its close proximity of Italy, Croatia has one of the world’s most atmospheric Roman ruin. There are dozens of hidden bars and shops among the ancient olumns and walls of the remains of Diocletians’ Palace in Split. The impressive presence of these ruins means they have featured as a filming location for the hit television series Game of Thrones. The thermal spas of Istria and the medieval streets of cities perched on the Adriatic convey a sense of Croatia's majestic history. Conforming to the common theme of all these destinations, Croatia has truly spectacular beaches lined with light pebbles and lush greenery, an idea place to unwind and relax. 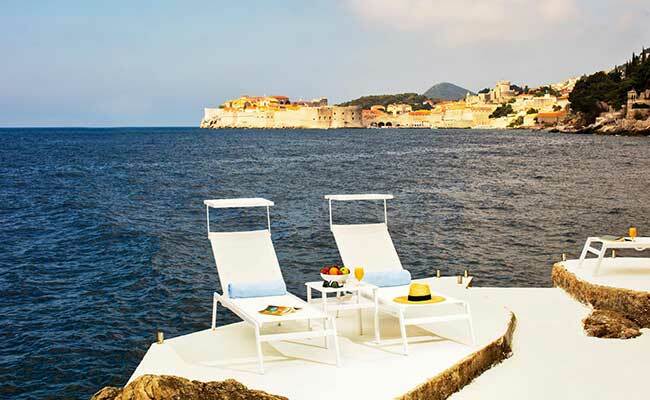 Above the cliffs of Dubrovnik, you’ll discover a much-loved destination to those who seek privacy and refined luxury. Set amongst orange and lemon trees with a view of the Old City and the island of Lokrum, you will be challenged to find better views. Visit between April and October to enjoy a complimentary vaporetto speedboat transfer to the Old City. These offers are exclusively available for Air Partner private jet customers. Get in touch with us to find out more and book your summer getaway.